MONROE, La. (AP) — A Louisiana prosecutor says his office will confer with Mississippi counterparts before trying a man who has been accused of murder in both states. Assistant District Attorney Geary Aycock tells The News-Star of Monroe that no decision has been made on trying Quinton Tellis there after a Mississippi jury couldn’t reach a verdict on separate murder charges. Tellis is charged with first-degree murder in the 2015 death of Ming-Chen Hsiao. 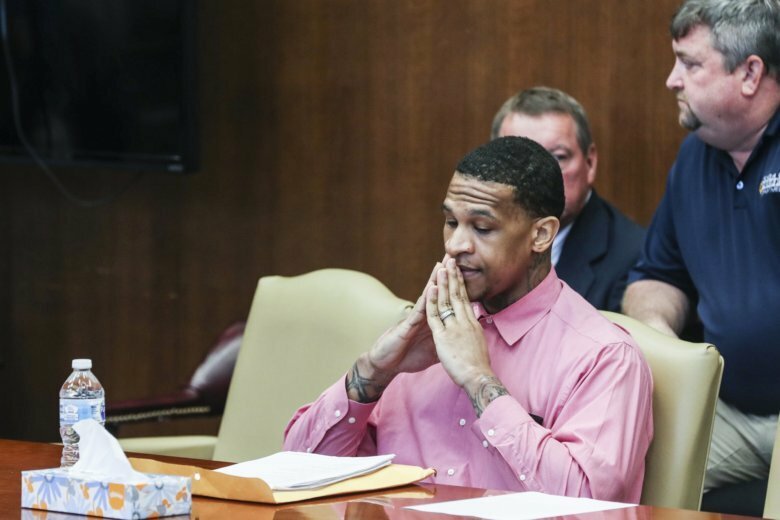 A mistrial was again declared Monday in Tellis’ trial on capital murder charges in the 2014 burning death of Jessica Chambers. In 2017, another jury in Batesville, Mississippi, told a judge they were deadlocked and couldn’t reach a verdict. Hsiao was from Taiwan and had been a student at the University of Louisiana at Monroe. Authorities have alleged that Tellis cut Hsiao more than 30 times in July 2015, making cuts on her shoulders, face and ears to torture her until she provided her personal identification number. They say Tellis killed her and left her body to rot until it was found. The criminal charges say Hsiao’s phone dialed the bank number on the back of her debit card twice on the night authorities believe she died, hanging up each time before the call was answered. Tellis’ phone dialed the same number twice within minutes, entering the debit card number and personal identification number. According to the charge, GPS records indicate Tellis’ phone was located within 60 meters (200 feet) of Hsiao’s apartment at the time of the calls. The detective who swore out a warrant admits the evidence is “based solely on this circumstantial evidence” and that there is no physical evidence linking Tellis to the crime. Tellis has already pleaded guilty to unauthorized use of Hsiao’s debit card, admitting he took more than $1,000. He also faces one count of marijuana possession with intent to distribute in in Monroe. That charge was originally part of the debit card prosecution but was separated. It alone could bring Tellis a life sentence in prison because he could be sentenced under Louisiana’s habitual offender law if Louisiana concludes that Tellis’ previous felony convictions in Mississippi counts toward that status. Tellis is currently serving a conviction for burglary in Panola County, Mississippi and had been convicted of other crimes before. He had been released from prison two months before Chambers’ death.